Lausanne, “La Ficelle”, it’s over ! Lausanne, Sunday January, 22nd 2006. 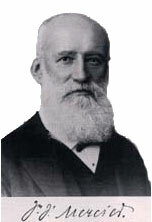 For the occasion, some activities were organized to commemorate Jean-Jacques Mercier, the founding father of La Ficelle in 1877. La Ficelle was a funicular between 1877 and 1958 and a cog wheel railway between 1958 and 2006. At 4 pm, La Ficelle did its last course, a free course ! new m2 subway which is planed in 2008. La Ficelle de Lausanne, c’est fini ! 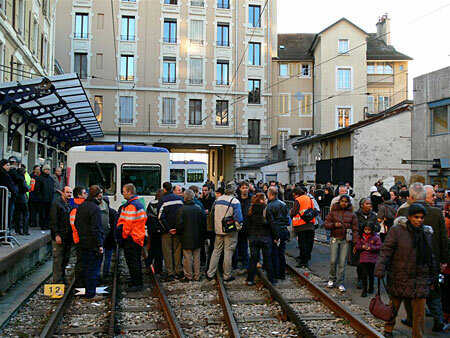 Lausanne, dimanche 22 janvier 2006.
gare et aux ateliers d’Ouchy. A cette occasion La Ficelle a effectué à 16h sa dernière course, gratuite ! Lors de cette journée des animations ont été organisées pour célébrer l’ingéieur Jean-Jacques Mercier, le père de la ficelle créée en 1877. 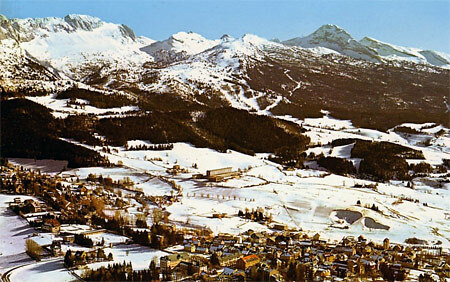 Je vous rapelle que tout le matériel a été cèdé à Villard-de-Lans (France). Author FunimagPosted on January 22, 2006 September 30, 2006 Categories SwitzerlandTags Ficelle, Lausanne, Switzerland, Vaud1 Comment on Lausanne, “La Ficelle”, it’s over ! Kaprun – A new future for the Gletscherbahn Kaprun 2 funicular ? Kaprun, AustriaGletscherbahnen Kaprun AG will get back the only car which remained intact after the November 11th, 2000 tragedy.The “Kitzsteingams” car was destroyed by the fire into the tunnel. The undamaged “Gletscherdrachen” car was confiscated by the Salzburg authorities for the investigations and will be brought back to the operators of Kaprun skiing area. The goal is to re-open the funicular for private freight transportations for the ski resort. 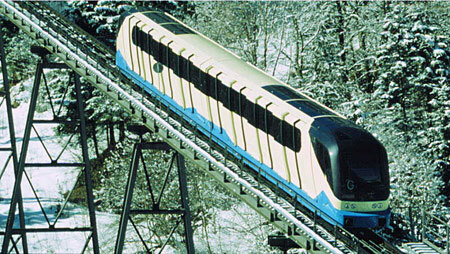 Some modifications are necessary to recreate a pendular funicular with two cars. ” Gletscherdrachen” is composed of two half-cars and can be divided into two different cars and at least a new fixing for the cable for one of the half-car and modification of the brake systems. 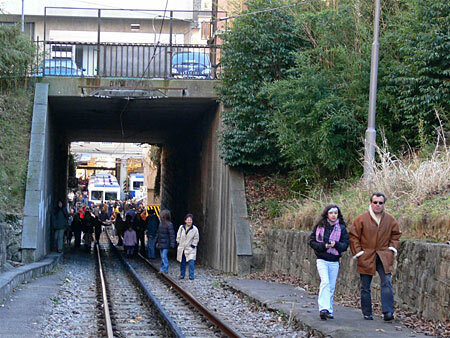 So the funiclar might be soon in operation again… but not for passengers! Details of the November 11th, 2000 tragedy. 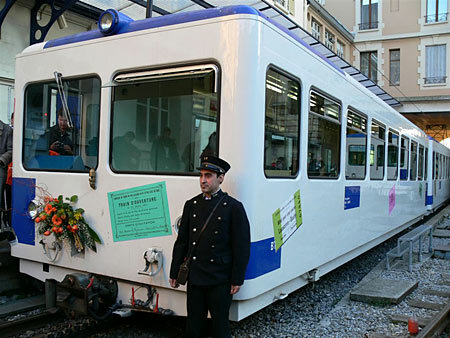 Author FunimagPosted on January 10, 2006 September 30, 2006 Categories AustriaTags Austria, KaprunLeave a comment on Kaprun – A new future for the Gletscherbahn Kaprun 2 funicular ? Funimag… 10 Years ! ! 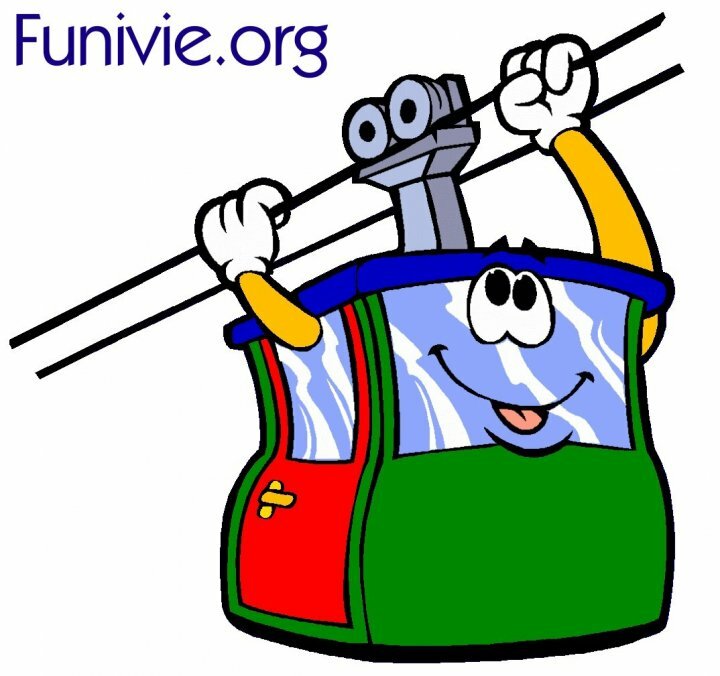 Paris, France.Funimag, the first web magazine about Funiculars was created on January 6th, 1996 ! Funimag is 10 years old! Author FunimagPosted on January 6, 2006 September 30, 2006 Categories UncategorizedTags Funimag1 Comment on Funimag… 10 Years ! !